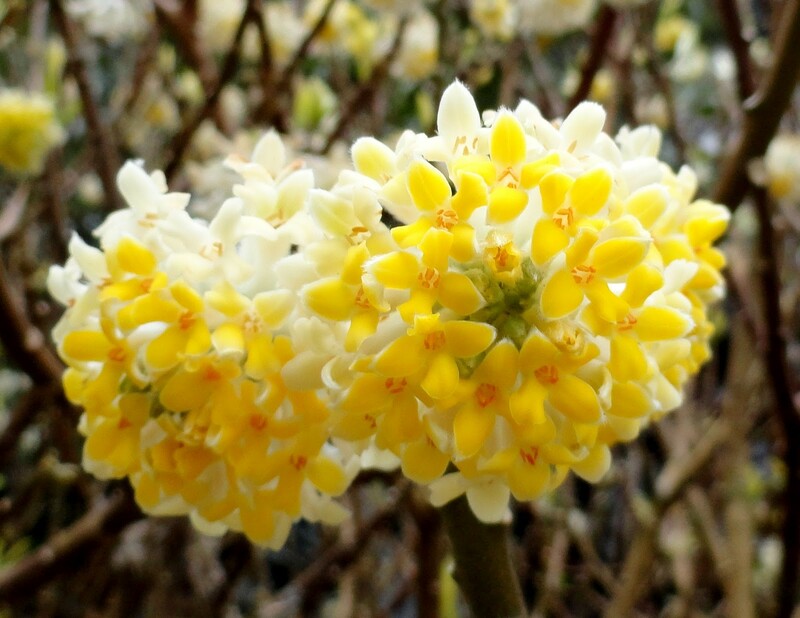 A stunning shrub that blooms from late winter to early spring with unusual looking flowers that produce an intense fragrance. Native to woodlands in the Himalayas and China, this gorgeous plant is closely related to Daphne. It is most highly prized for its flowers, which appear in clusters on the tips of the bare stems, and open in late winter. They have a strong scent which will help attract the toughest, winter insects, and when in bud a covering of silky white hairs make them look as if they are covered in frost. A great plant for the winter garden, they are little known, but easy to grow. 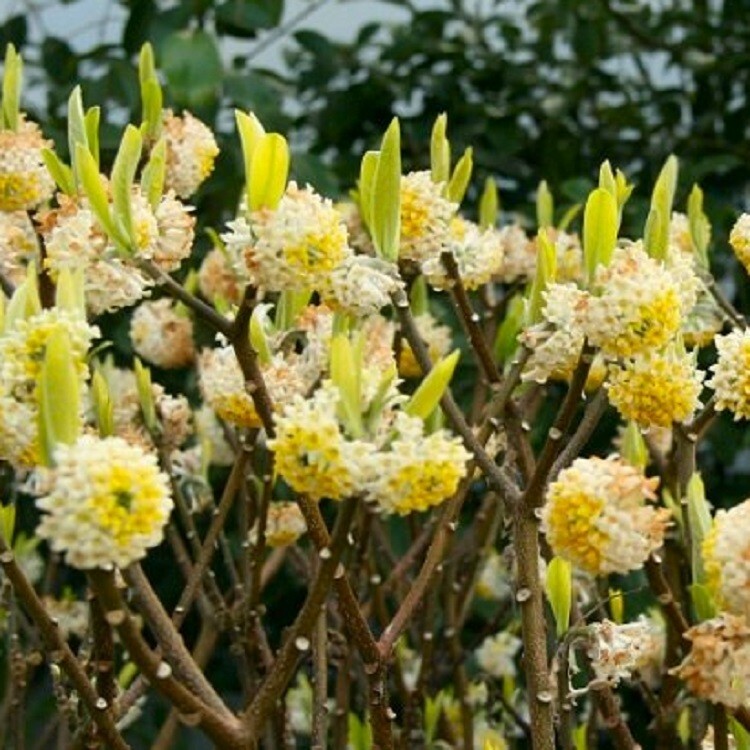 Olive green foliage decorates the shrub in summer, and it will reach up to two metres high and wide in time. It also lends itself well to supporting a summer blooming clematis through it's branches to add further interest later in the year. Nanjing Gold will be a real star in any winter garden, providing much needed interest when little else is in flower. Plants are well branched with an open habit and will be covered with masses of large superbly scented flowers in winter. To say the plant will perfume the garden is a real understatement. The sweet aroma from an established specimen will quite literally waft around the garden and delight the senses. 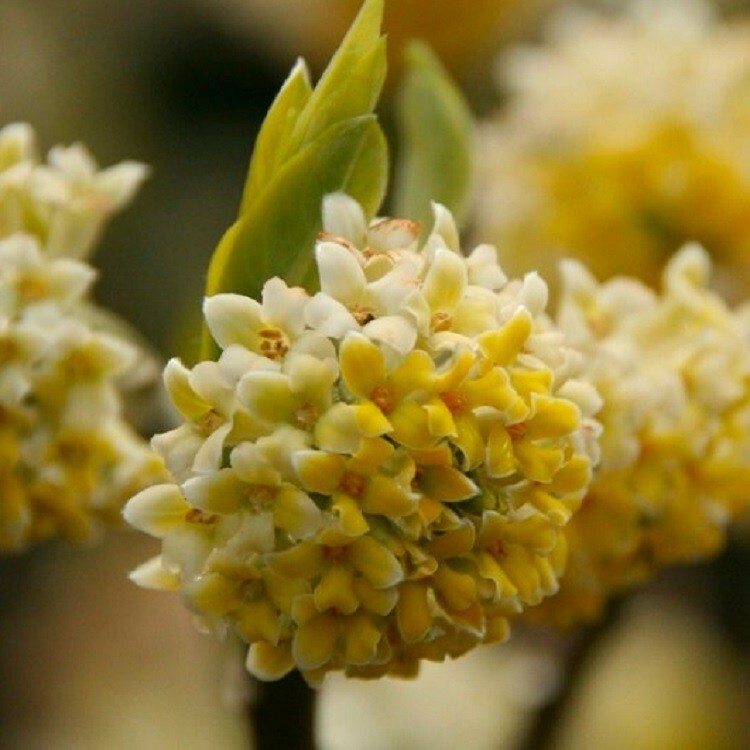 Starting in mid-winter and continuing in to early Spring, the Edgeworthia has bright gold blooms that fade to creamy-yellow over their long blooming period. Supplied in approx 3.5 litre containers, with bud and flower in season.